Composed by John Kinyon and John O'Reilly. Brass - Cornet (Trumpet) Duet; Duet or Duo; Solo Small Ensembles. Yamaha Duet Series. Book. 24 pages. Alfred Music #00-14629. Published by Alfred Music (AP.14629). 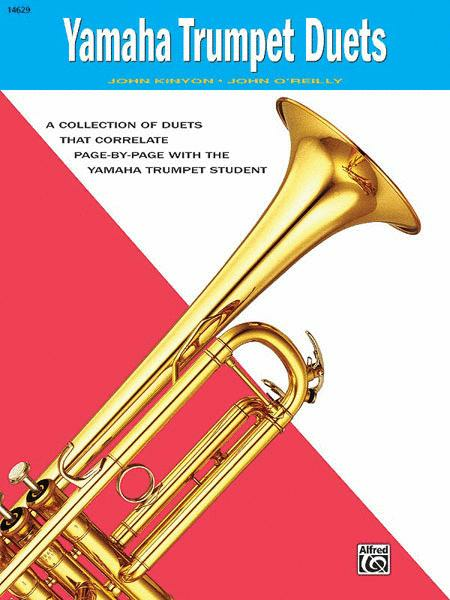 John Kinyon and John O'Reilly have arranged an enjoyable assortment of beginning level duets correlated to each instrument's corresponding Yamaha Individual Instruction Series book. Approximately 20 duets have been separately arranged for each specific instrument to ensure their appropriateness.